Davidoff Cigars has a late-year release for cigar aficionados. The company announced Davidoff Royal Release, a cigar that from seed selection down to rolling and packaging strives for perfection. 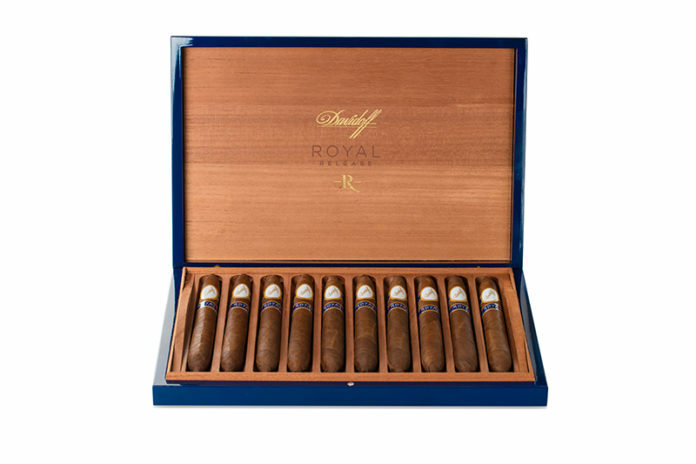 For Davidoff Royal Release, the seeds were selected and germinated specifically for this cigar. The seeds can be traced back to the harvest of 2004 and 2005, years known for producing near-perfect growing conditions and ideal rainfall amounts. The company’s master blender visited the crop daily to check on the color, texture, aromas and burn of the tobaccos used for the cigar. Bales of tobacco that made it through the master blender’s scrutiny were aged for eight years in ideal temperature, light and humidity to give the final cigar a regal presence. Davidoff Royal Release feature an Aromatica Dominicana seed-grown wrapper, Habano Ecuadorian binder, and filler grown in the Dominican Republic. This cigar will be available at select Davidoff merchants in October 2016 and launched worldwide at Davidoff Flagship stores in late November 2016. For the latest news from Davidoff Cigars, visit davidoff.com.